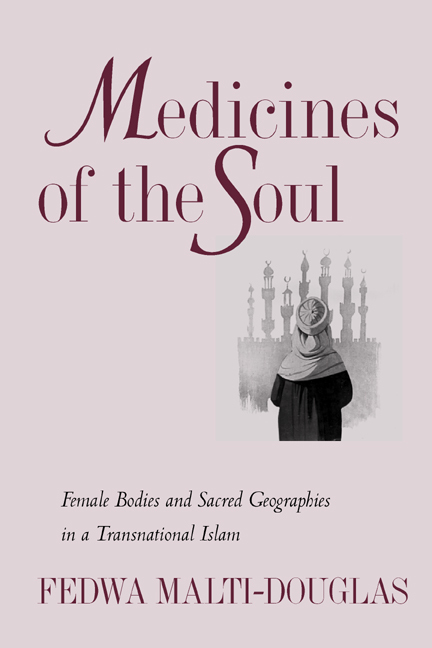 In Medicines of the Soul, the autobiographical writings of three leading women in today's Islamic revival movement reveal dramatic stories of religious transformation. As interpreted by Fedwa Malti-Douglas, the autobiographies provide a powerful, groundbreaking portrayal of gender, religion, and discourses of the body in Arabo-Islamic culture. At the center of each story is a lively female Islamic spirituality that questions secular hierarchies while reaffirming patriarchal ones. Fedwa Malti-Douglas is the Martha C. Kraft Professor of Humanities in the College of Arts and Sciences at Indiana University, Bloomington. Among her previous publications are Woman's Body, Woman's Word: Gender and Discourse in Arabo-Islamic Writing (1991), Men, Women, and God(s): Nawal El Saadawi and Arab Feminist Poetics (California, 1995), and a novel, Hisland: Adventures in Ac-Ac-Ademe (1998). Her most recent book is The Starr Report Disrobed (2000).